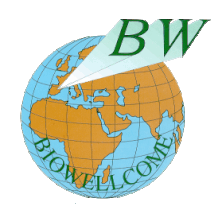 Biowellcome acquired with its customers a commitment that ensures that all products served enjoy the highest quality , it implemented for all internal and external systems to so certify . Most of the products are certified Kosher Biowellcome S.L. endorsed by the competent authority through annual audits. The company Biowellcome S.L. , has been registered since the beginning of its activity in the Ministry of Health and Social Affairs as authorized company for the manufacture and packaging of additives with the number 31.01706 / TO .